The Riviera Sports Club is in a prime location on Gaien-Nishi Dori in Minami-Aoyama, Tokyo, just three minutes from Gaien-mae subway station. As a members only club catering to an array of distinguished clientele, the facility is designed with your privacy and comfort in mind. Boasting around 3,300 meters of floor space, the club features a gym, pool, studio, squash court, and golf range, and offers first class healing and training packages. Our experienced personal trainers wiil guide you through the most appropriate training programs to help you meet your training goals. From basic body and soul well-being programs to full physical transformation regimes, our trainers will be on hand to provide full support on your journey of physical and mental advancement. All aspects of the facility have been designed to enhance the “quality of life” for our members. 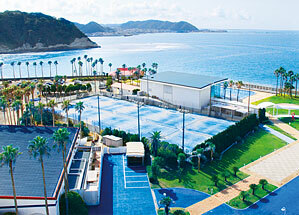 The tennis school is located on the premises of Riviera Zushi Marina. Our expert coaches are licensed by the Japan Pro Tennis Association and offer a variety of classes to match one’s level. From junior tennis lessons, beginning with correct grip instruction, right up to players wishing to advance to national level and beyond, our coaches will design a training program to match each player’s ability and goals. Three minutes away on foot from Gaiemmae Station. This luxurious spa lounge is in an amazing location facing Killer-dori, and features a full-scale care menu. Riviera is loved by celebrities worldwide, and delivers a seasoned and traditional hospitality to provide top class "care" for your body and mind through its establishments, such as the world-class Los Angeles golf club, "THE RIVIERA COUNTRY CLUB." 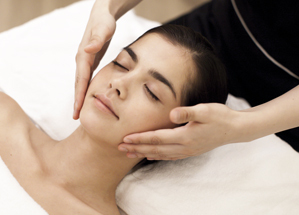 Why not get away from the hustle and bustle of the city and relax here at the "Spa Lounge"? Bring luxury into your life.